Antarctica ice shelf collapse is a climate opportunity. 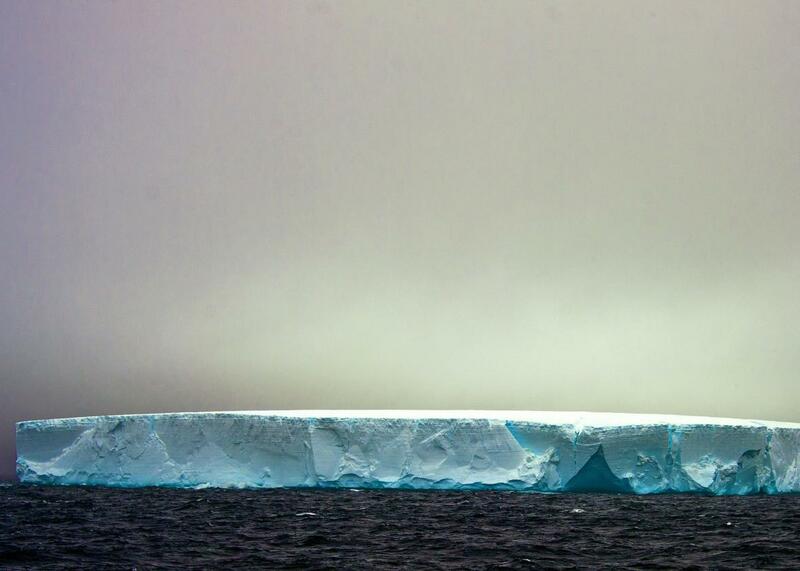 Yes, Antarctic Ice Is Melting, But There’s a Bright Side. The latest research from Antarctica presents humanity with a glowing opportunity. If you follow the news on climate change, you’ve probably noticed a shift toward apocalyptic headlines over the last year or so, especially when the topic is Antarctica. But lost in all the hype is an important message: It’s not too late to save a really, really huge proportion of the ice the frozen continent contains—and thus, virtually every coastal city on Earth. Covering Antarctica is tricky for science journalists: The quantities of ice, and therefore, the potential impact on the global climate system is beyond human comprehension—but often, so are the timescales. In my own coverage of worst-case climate scenarios, I’ve tried to focus on the human timescale: What’s the worst that we might reasonably expect to transpire while we (or our children) are still alive? Even truly ominous studies, like the one offered by James Hansen earlier this year that showed the possibility of 10 feet of sea level rise by 2100, should be framed with action in mind. The recent tendency toward climate journalists emphasizing the worst-case scenario began last May, when in a single day, two major, separate studies on a huge glacier in West Antarctica were released, showing its melt may have already become unstoppable. Slate’s Phil Plait was responsibly reserved in his coverage, emphasizing that although one of the press releases used the word “collapse,” the melting of this particular glacier—which by itself contains enough ice to raise global seas by three feet—is a process that will take centuries, if not longer, to play out. But others, like Gizmodo, covered the news breathlessly, saying, “The Antarctic Ice Sheet Has Started to Collapse and Nothing Can Stop It.” That sort of framing is misleading and harmful. The overwhelming scientific consensus is that humans hold the control knob for how fast Antarctica will melt, and it’s still very much possible to keep the rise in global sea levels to something short of a catastrophe. If that point is not clearly made, journalists risk provoking unnecessarily paralyzing despair in their readers. While it’s definitely not a journalist’s job to play down frightening news, needlessly scaring people doesn’t help either. For another example, take this short piece in the Guardian, which ran on Monday with the headline “Antarctic ice is melting so fast the whole continent may be at risk by 2100.” Taken in the context of steadily worsening climate news, a reasonable person might conclude that all the ice in Antarctica—enough to raise global sea levels 200 feet and paralyze human civilization—may now be vulnerable to melt by the time our grandchildren retire. This is absolutely not true. Let me repeat: There’s no scenario that’s remotely plausible that shows all of Antarctica melting by 2100. What’s more, the new study the Guardian piece references is actually very well-constructed to show that a low-melt scenario remains within reach. I spoke with Luke Trusel, a polar scientist at Woods Hole Oceanographic Institute and lead author of the study, which was published Monday in the journal Nature Geosciences. As you can imagine, he was a little peeved that his research was being misrepresented. Instead of despair, Trusel’s research has led him to a place that’s quite hopeful. “We see our clear human influence, and that means we can change,” he told me by phone. By examining past ice shelf collapse and projecting the next century of temperature change onto current ice shelves, Trusel and his fellow researchers found a huge difference between a business-as-usual fossil fuel emission scenario, in which ice melt may increase eight-fold, and a scenario where emissions are stabilized relatively rapidly and ice melt remains relatively linear. That’s the Larsen B ice shelf, on the Antarctic Peninsula, which broke up between Jan. 31 and April 13, 2002. Since then, scientists have been focused on studying just what happened at Larsen B and studying the increasingly vulnerable—and much bigger—Larsen C, the continent’s fourth-largest ice shelf that’s just next door. Dramatic images of ice shelf collapse like this—mixed with a healthy dose of Hollywood-style exaggeration—could understandably lead someone to believe the entire continent could be next. 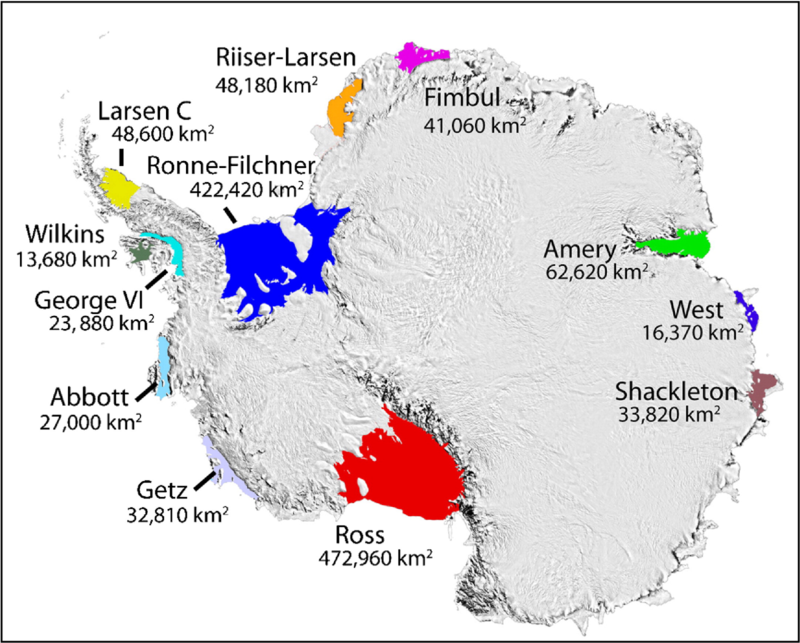 But Larsen B was just a tiny fraction of Antarctica’s ice, and it was already exceptionally vulnerable. Trusel’s work builds upon others that have shown warm air temperatures lead to ponding of meltwater on the ice shelf, which adds tremendous pressure to small cracks in its surface and forces them to grow in size. In 2002, after an especially severe melt season, this is exactly what happened at Larsen B—imagine thousands of holes being drilled through the ice at roughly the same time—resulting in the above collapse. Trusel’s latest study shows that, should global temperatures remain less than two degrees Celsius above pre-industrial levels, it’s very unlikely that many more ice shelves in Antarctica will suffer a similar fate any time soon. This is the inspiring message that our leaders need to hear: With bold action on climate change, it’s still possible to prevent the worst-case scenario. Unfortunately, current climate policies aren’t nearly sufficient to do so.